In a battle of the previously undefeated teams in Group B, Herbalife Gran Canaria Las Palmas got a thrilling 69-71 road win over the host JDA Dijon. Albert Oliver scored a basket with 6 seconds to go, putting the visitors in front 69-71, before Levon Kendall sealed the deal, blocking a potential game-winning three-point attempt from Steven Gray in the last second. Gran Canaria, which did not trail after the second quarter, had Kyle Kuric leading the way with 21 points on 5-for-7 three-point shooting. Kendall had 11 points plus 6 boards, and Eulis Baez 11 points and 5 rebounds in victory. Erving Walker netted 23 for the newcomer Dijon, which suffered its first-ever Eurocup defeat. Kris Joseph scored 13, and Andre Harris 11 plus 5 rebounds. Walter Tavares had an early say on both ends of the floor, with a pair of baskets and a pair of blocks for Gran Canaria. Ferdinand Prenom, Jacques Alingue and Walker got Dijon going, scoring all points in a run that got the hosts to 15-12 after the first quarter. Prenom scored a put-back to start the second, but Kendall answered with 5 points of his own, Baez had a put-back, before Kuric hit back-to-back a jumper and a triple, both assisted by Oliver. Kuric’s second triple made it 20-29, and after he hit his third, Kuric followed it with a block and a layup for 22-34. In the final minute of the quarter, Joseph snapped a 5-22 run, and Walker added a fastbreak layup, cutting it to 27-34 at halftime. Back-to-back-to-back threes, two from Joseph and Walker’s in between, got Dijon to 36-38 early in the third quarter. Gran Canaria answered with back-to-back daggers from Tomas Bellas and Kuric. After Bellas followed it with a jumper for 36-46, Harris strung together 7 points for the hosts, including a three-pointer, and Walker also hit from long range for 46-48. 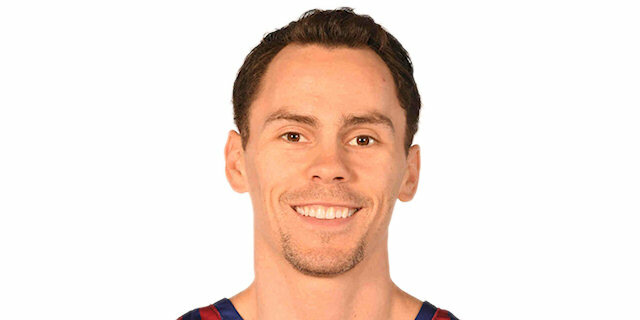 But Kuric hit another one from downtown, and sparked Gran Canaria to 50-59 lead after the third quarter. But there was no giving up in Dijon, as Joseph and Antoine Mendy each scored couple of baskets for 59-64. Walker hit a triple and 3 of 4 free throws for 65-66 with 3 minutes to go. Bellas scored for the visitors, Mendy had a put-back for Dijon, before Walker’s pair of foul shots with 26 seconds to go tied it at 69-69. But Oliver scored his first and only basket of the night, and Kendall made a key block for Gran Canaria to stay perfect.